Yep, I am really excited!!! The maxi is so cute on you! I also picked up a Maxi dress from there last week but may go back for another....they're so cheap but really cute! How did that lace dress work out for you from there? I'm dying to know! Oh, no. I saw this picture and thought, "I need this maxi"- and then you even posted the link for me to purchase...oh dear. I don't need to buy groceries this week, right? I have maxi fear because I am short - but you are looking so good in your dress! Love this dress!! 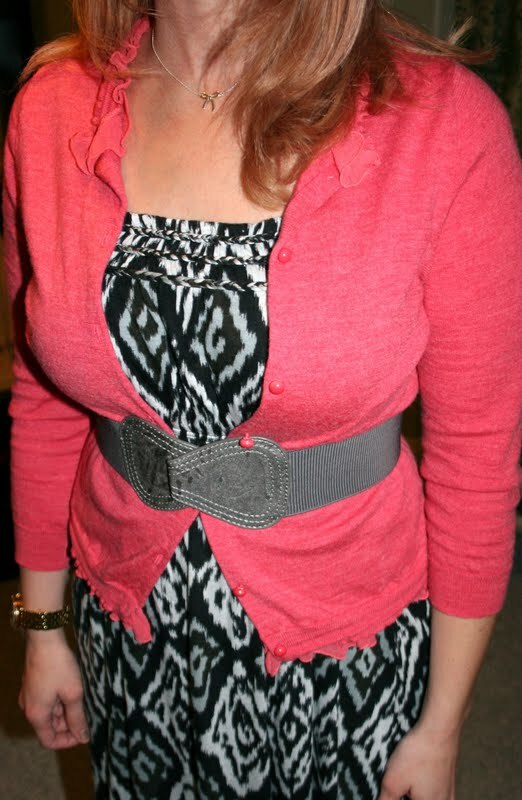 It looks great paired with this cardi as well. You look great in that long dress! I love pairing black and white with another bright color! super cute! I've been admiring that one too! Love and Wardrobe has it in the rust/brown, really cute too! 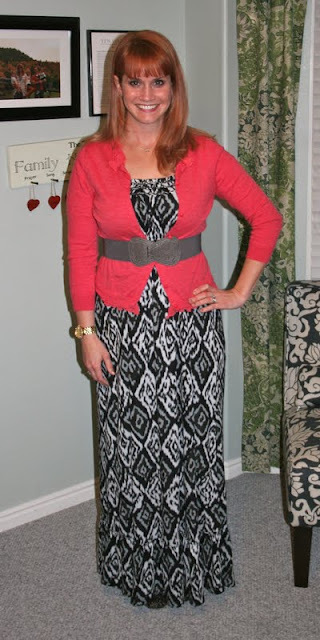 I'm loving that maxi's are in - us modest girls can rejoice! Ooooh, that maxi is adorable on you! I like the subtle pattern mixing too with the shoes. And that bright color in the cardigan is fabulous!! !